NEMBA Racing is accepting new racers for the 2017 Season! I’m hoping by now many of you have seen our riders/kits around, either at NEMBA events and rides, at local races, or even just riding your local trails. The team is growing every year and we’d love to have you with us. We launched our Gravity team 2 seasons ago and they are rolling strong. 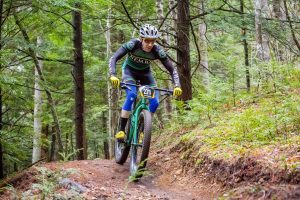 We have a core group of riders representing NEMBA consistently at the East Coast Gravity series events. We are looking to build on that success and grow the Gravity team even more in 2017! Racing can be many things to many people. 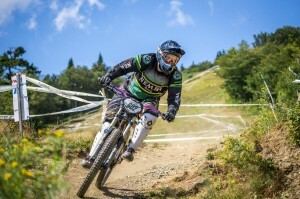 The production value of local MTB races is getting better and better every year. There are new summer series races popping up, the gravity series are stacked with events, new and more endurance events many of which are closer to small festivals, and we now have 2 Pro XCT events in New England for 2017! They are family friendly, they have local vendors, beer tents, it’s not all just suffering! I want NEMBA Racing to be a home for every type of rider. New and developing riders looking to get fit and challenge themselves, strong riders looking for other like minded folks to help push them further, riders looking to ride new trails with lots of other folks and then have a beer afterwards. Join us for 2017, I highly doubt you’ll regret it. Looking to join the downhill team!! That’s awesome Keith! Go ahead and fill out the application linked in this post so we can get all your info, get you added to the team’s mailing list and ready for our clothing order coming up in Feb.